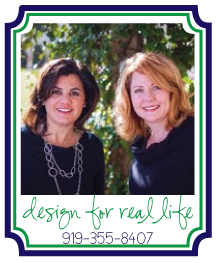 It's everywhere, in fashion, in home decor, in major furniture pieces. 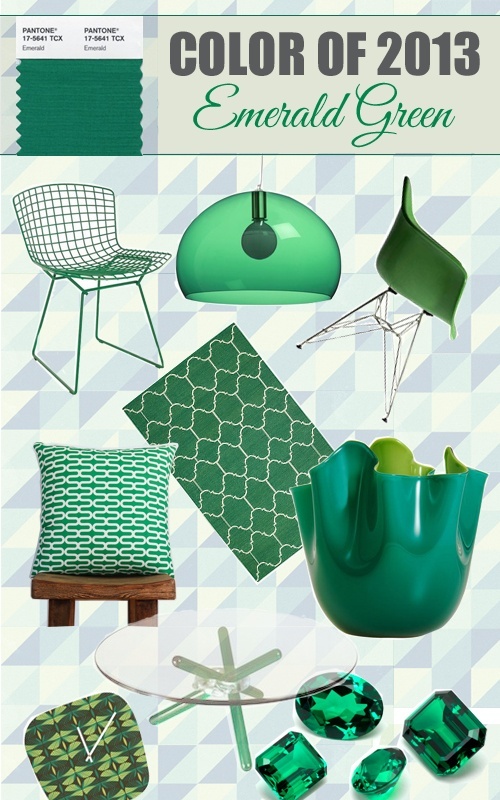 How can you add the 2013 Color of the Year to your decor? I've outlined three ways to bring in the bling. 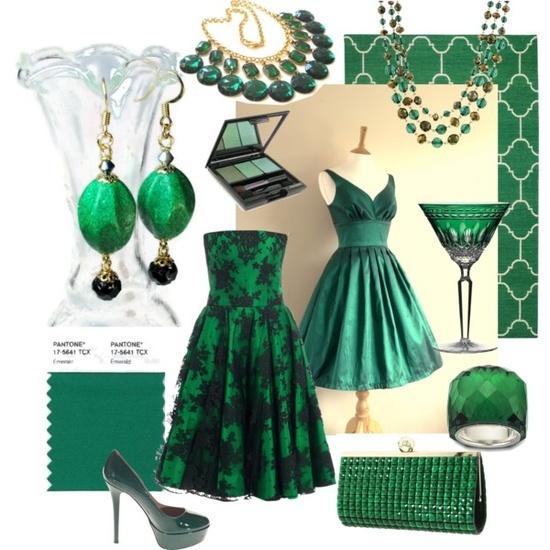 Emerald green bling that is! 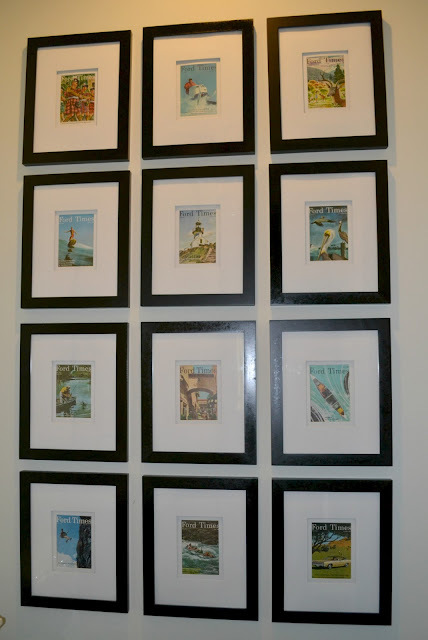 All of these items are vintage, retro or from a thrift store. 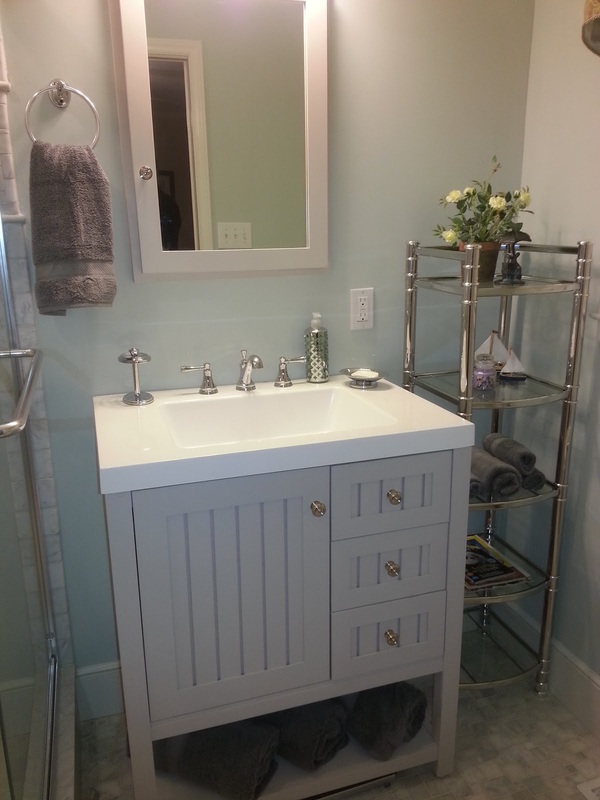 You don't have to spend a lot of money to get an updated look. 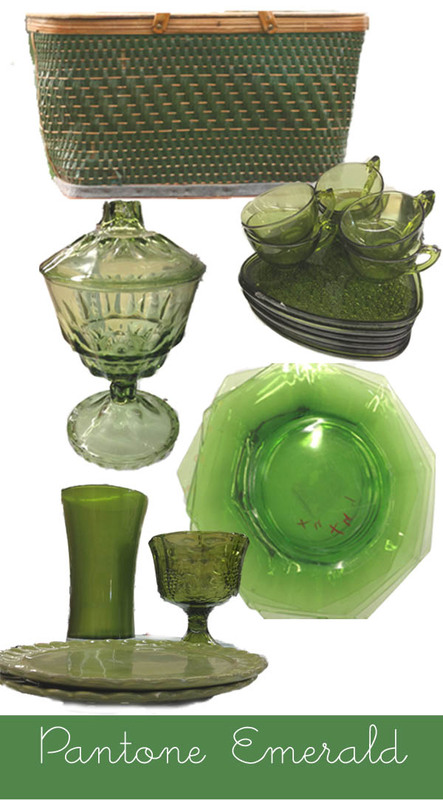 Set the table in some green depression glass that's been in your attic for 20 years. Everything old, is new again! 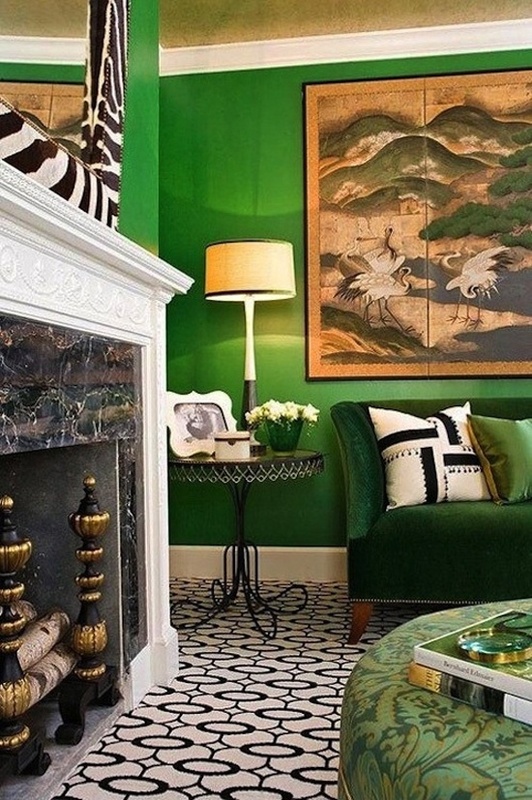 A few throw pillows, a statement vase, or some chevron curtains are a good way to bring in the emerald without a major investment. Okay, so this is a BOLD option. 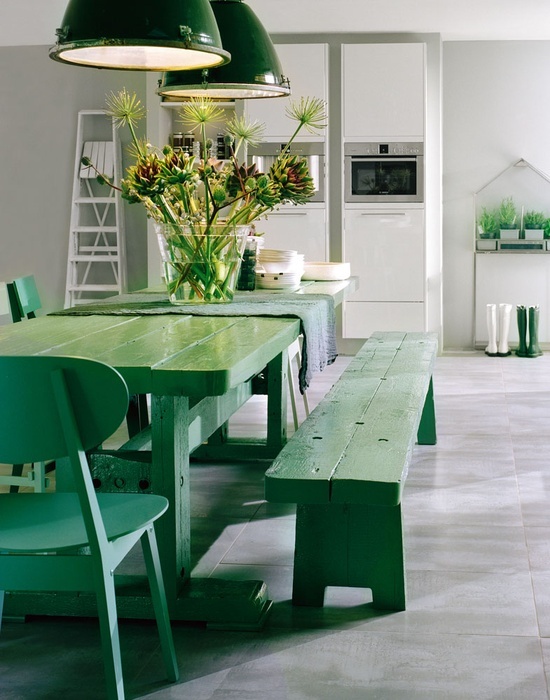 Can you imagine what Patrick would say if I said I wanted to paint his farm table Emerald Green? 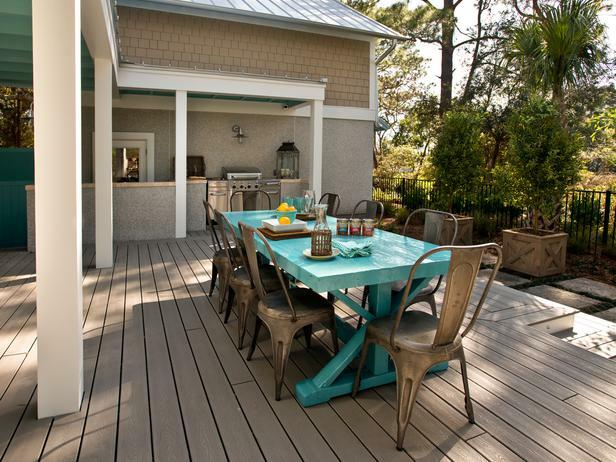 Check out the table they used on the sun deck at the HGTV Smart Home 2013. It's not green, but I love the bold look of such a large piece. To stand up to Florida's harsh and changeable weather conditions, a pine trestle-style table is treated with two layers of primer, three layers of car paint and finally two layers of clear coat. Vintage steel chairs cozy up and offer seating for eight. 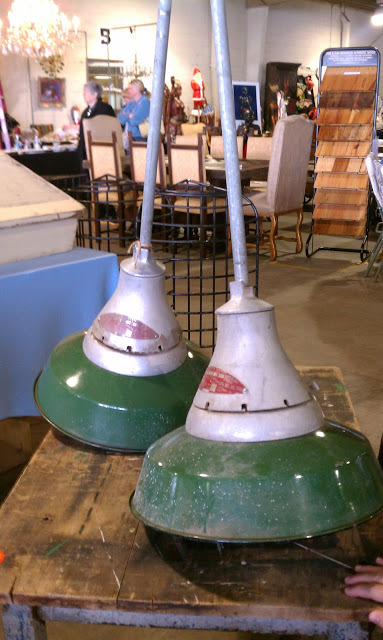 About two years ago, I found these awesome shop lights at the Charlotte Metrolina Antiques Market. I took a picture and sent it to Patrick who was NOT thrilled with the rough, worn, GREEN lights coming into our home. I've been looking for something to go over my spaceship kitchen island, and now I'm kicking myself for not getting them. I'm sure the ones in the photo above the green farm table are new, but I'd rather have the ones with history. Bummer. Normally I don't recommend upholstering your large, investment pieces in a trendy color or pattern, but WOW, this emerald green velvet sofa rocks. 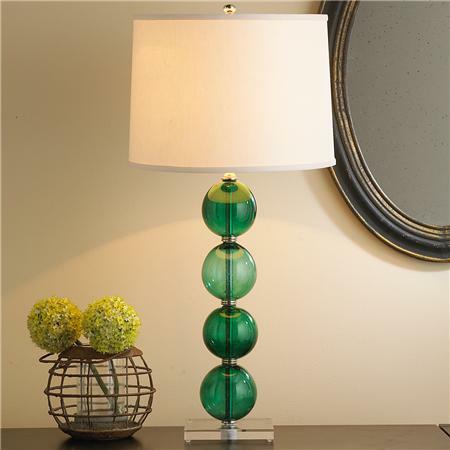 For me, I'm crushing on this cute recycled glass table lamp from Shades of Light. 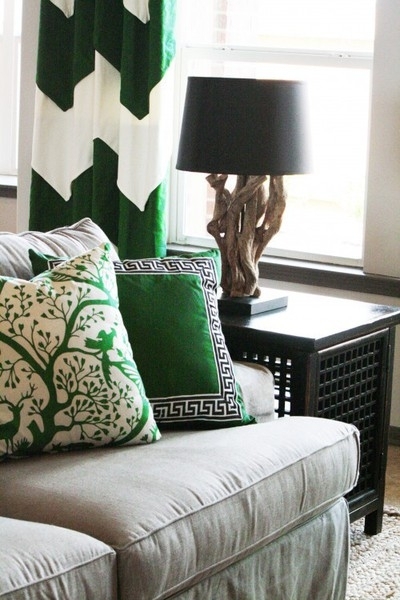 How will you add Emerald Green to your decorating scheme? 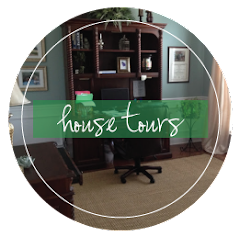 We're also linking up today with Lolly Jane! 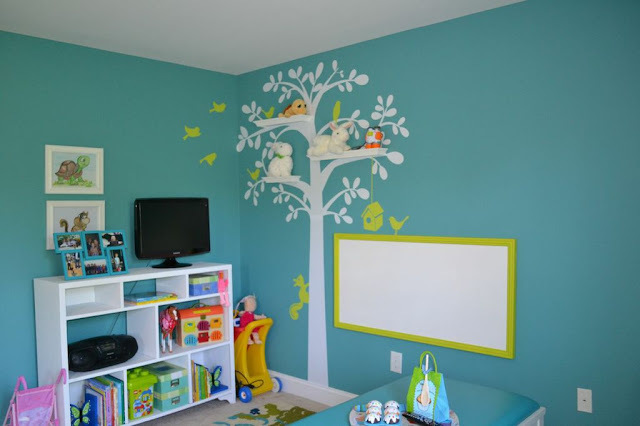 Head on over and find some brilliant ideas to spruce up YOUR space!